Dr Tan graduated from the National University of Singapore in 2001. His residency was in the two largest public hospitals in Singapore; Tan Tock Seng Hospital and Singapore General Hospital. He was part of the SARS taskforce in SGH and tended to ill patients with suspected SARS during the outbreak. He also worked and trained at the Singapore National Eye Center, National Heart Center and National Skin Center. After leaving the government service, he joined Thomson Medical Center to focus on Pediatric care, followed by a GP Group before setting up Robertson Medical Practice in 2005. Dr Tan keeps abreast of developments in the medical world and participates at international Medical Conferences. His professional medical opinion is frequently sought after and he has contributed extensively to the local press. Dr. Tan is also active in community outreach; speaking on a variety of health topics to the general public as well as corporations. Achievements: Certificate in Men’s Health, Certificate in Clinical Dermatology, Advance Botox Certificate, Dermal Fillers Certificate of Competency and Certificate in Surgical Hair Transplant. You can view some of the conferences that Dr Tan has attended here. Dr Jonathan Ti graduated from the Royal College of Surgeons in Ireland in 2011, before moving to Singapore to further his medical training. He also holds a postgraduate qualification for Membership to the Royal College of Physicians (UK). 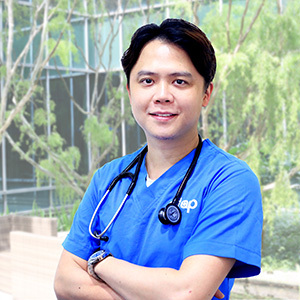 Dr Ti has completed several years of training with the Internal Medicine Residency Program in tertiary and community hospitals across the country and has been exposed to a wide range of subspecialty postings, including Endocrinology, Renal Medicine, Infectious Diseases, Gastroenterology, Cardiology and Emergency Medicine among many others. His special interests include endocrine and metabolic disease management, specifically diabetes and weight loss management, as well as men’s health and sexual health. He has presented clinical research at several international conferences and now hopes to contribute to strengthening primary care in Singapore. Dr Taufiq has a special interest in Sexual Health, HIV prevention and Men’s health. He is of the view that everyone deserves to feel empowered by taking charge of their health. 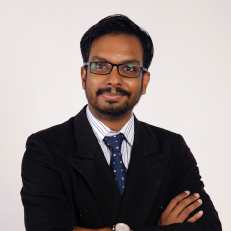 His numerous experiences in condensing complex medical issues into digestible nuggets have moulded Dr Taufiq into a very warm and approachable practitioner. 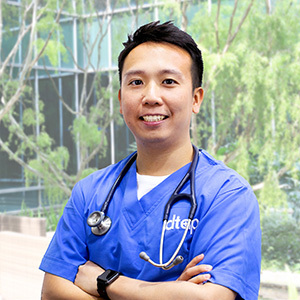 Dr Julian Ng graduated from the University of Sydney with the Bachelor of Medicine and Bachelor of Surgery. Prior to his medical degree, he had obtained Masters of Science in Microbiology in the National University of Singapore. He has worked in Sydney in areas of Respiratory Medicine, Vascular Surgery, Rehabilitation Medicine and Adult Emergency Medicine. Since his return to Singapore, he has worked in Children’s Emergency Medicine and Microbiology. He has also worked in Singapore’s Polyclinic where he manages chronic diseases like Diabetes, Hypertension and hyperlipidemia. He firmly believes that patients are more than a collection of diseases and that every patient is an individual with their own unique needs. His special interests include Paediatrics, Chronic Diseases Management and Sexually Transmitted Diseases (STDs). He also plans to complete the Diploma of Family Medicine to be a Family Physician. She completed the Internal Medicine Residency Programme in one of the largest tertiary hospitals during which she also had the experience of working in a broad range of subspecialty departments across various tertiary hospitals, ranging from Neurology, Rheumatology, Endocrinology, Cardiology, Geriatrics Medicine to Emergency Medicine, amongst many others. Dr Grace has a keen interest in Women’s health and wellness medicine. She believes communication is the key to empowering patients through facilitating a better understanding of their own health and medical issues and is always more than glad to address and allay her patients’ concerns. postings in various multi-disciplinary clinics and tertiary hospitals in Singapore. offered by the Royal College of Surgeons in England. 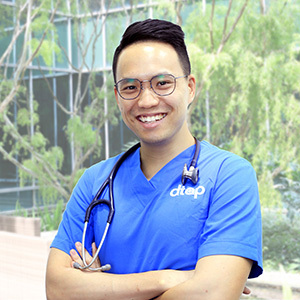 Dr Julian Hong graduated from Imperial College London and started his career in the local hospitals, gaining much experience across disciplines (Medicine, Surgery, Paediatrics, Obstetrics and Gynaecology) with a subsequent focus on the care of children and gaining procedural skills. He believes in keeping abreast of the latest medical advances and has contributed to medical research, winning research grants, prizes and awards along the way. Entering private practice in 2017, Dr Hong looks after the health needs of a wide spectrum of patients. From chronic diseases in the elderly to the acute ailments of the working professional, he subscribes to holistic family care. He believes in looking and feeling your best from the inside out and has a special interest in healthy weight loss with tailored exercise prescription. Having personally lost 15kg in 6 months, he has personal empathy in encouraging his patients on their health journey. 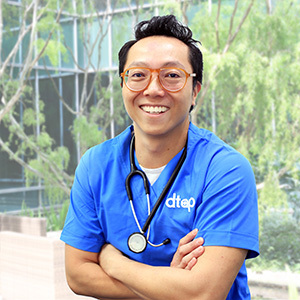 Dr Julian Hong subscribes to the ethos of “healing” outside the walls of the hospital and has pursued this by actively serving in the community. Over the last decade, he has worked with stakeholders from the social and private sector, raising funds for local charities and putting together meaningful events. In his spare time, he serves as a volunteer on the boards of social enterprises and charities. Blessed to be a blessing, Julian also participates in regular humanitarian trips to neighbouring countries. During her years of training, she has worked in various sub-specialities within obstetrics and gynaecology, including reproductive medicine to deal with subfertility issues and maternal-fetal medicine for high-risk pregnancies. She is experienced in managing a variety of women’s health, general gynaecology issues and antenatal care for pregnancy. Dr Chia has done comprehensive research in the field of Obstetrics and Gynaecology, having her work presented at multiple international gynaecological conferences such as the Royal College of Obstetrics and Gynaecology World Congress, the world’s largest O&G conference in South Africa in 2017 and the FIGO World Congress in Brazil. Her research work has also been recognized in several established local conferences. 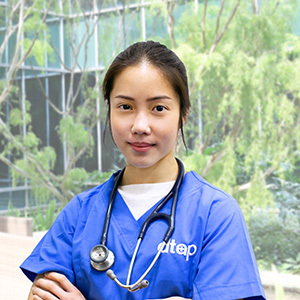 Being well rounded in her medical knowledge, Dr Chia has also presented work in other fields of medicine in several international conferences in Vienna and Canada. With the aim to provide holistic well-rounded care for all women’s health problems, she was also the initial Obstetrics and Gynaecology Resident to undergo a rotation in Women’s Dermatology in KK Hospital. Dr Chia is also fully certified by the Aesthetic Dermatology Education Group (Singapore) to perform aesthetic procedures including botox, fillers and lasers. Her experience over the years makes her more than well qualified and well rounded in the field of women’s health. Dr Sii graduated with the Bachelor of Medicine and Bachelor of Surgery from St George’s University of London. He also holds the postgraduate qualification of the Membership of the Royal College of Physicians (MRCP, UK). Dr Sii spent some years in London working and gaining valuable experience in different London hospitals and practised a wide range of specialities including Primary Care, Dermatology, Paediatrics, Obstetrics and Gynaecology and General Surgery. 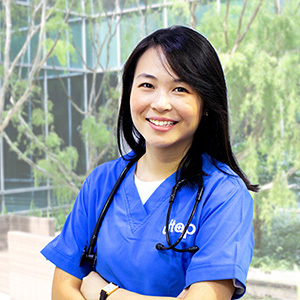 After moving to Singapore, Dr Sii was selected to join the Internal Medicine Residency Programme, a national training programme designed to train and produce the Crème de la crème physicians in Singapore. He completed training in an comprehensive list of specialities including Dermatology, Infectious Disease, Cardiology, Gastroenterology, Respiratory, Internal Medicine, Intensive Care, Neurology and Emergency Medicine in various hospitals in Singapore. Dr Sii is an experienced doctor in the field of Aesthetic Medicine. He is fully accredited in aesthetic procedures such as dermal fillers, Botox and laser treatment. He has attended numerous Aesthetic courses and conferences around Asia, Europe, and the UK, and has been actively involved in researches and studies, as well as education throughout his working years. Dr Sii has gained tremendous experience in Sexually Transmitted Diseases and Sexual Health from his years of working in the Infectious Disease department and has managed a large number of patients with sexually transmitted diseases. 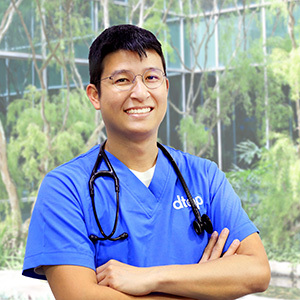 Dr Sii’s consistent holistic and friendly approach to his patients has earned him numerous compliments throughout the years, and he will continue to improve to produce better care and treatment for his patients. We have a Malaysian presence at KL ECO City in Kuala Lumpur. Dr Kaarthig graduated from the International Medical University (IMU) and completed his housemanship at the Teluk Intan Hospital before moving to serve at Hospital Banting until recently. At Hospital Banting, he served as a medical officer in the field of Internal Medicine. He is an experienced doctor that was also trained in geriatrics, rehabilitative medicine, nephrology, cardiology, respiratory medicine, psychiatry and intensive care. Dr Kaarthig has been part of numerous health talks and have organised seminars and update courses for hospitals in Malaysia on a state and district level.